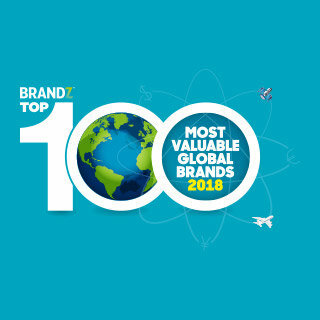 Adding to an already impressive list of accolades, Toyota recently earned the recognition of being the world’s most valuable car brand in the annual BrandZ "Top 100 Most Valuable Global Brands" publication study. This isn’t a first for Toyota – in fact, this is the sixth consecutive year the carmaker has been named as the most valuable automotive company! Repeated success like this isn’t just a streak of good luck, though; Toyota’s ability to reach and maintain such a position is the result of company-wide consistency, reliability, and innovation. Its success is something that we here at Westbury Toyota are (obviously) proud of, and it’s also something we want others to know. To that end, we’re going to explore here the many reasons why Toyota has managed to be the most valuable car brand for six years running. Toyota’s current brand value sits at $29.987 billion, as reported by Adrian Padeanu of Motor 1, and this is a marked increase of nearly five percent compared to its 2017 brand value. One of the main reasons for that increase is that Toyota has met – and exceeded – market expectations in the area of sport utility vehicles (SUVs). In North America and Europe particularly there is a high, steady demand for these types of vehicles, and Toyota’s ability to deliver SUVs that provide good mileage, excellent reliability, and complete functionality allow it to dominate that market. It’s not just SUVs that Toyota does well, however. The Prius is one of the most popular hybrids available (for good reason) and that popularity allows the company to dominate the hybrid market in a similar fashion. Digging a little deeper, Toyota’s Camry was the top selling mid-size sedan in America this year, owing largely to the fact that it offers far more dependability than any other sedan out there. Impressive car sales numbers and heaps of happy customers aren’t the only reasons behind Toyota’s continued reign as the world’s most valuable car brand. As the staff of The News Wheel points out, Toyota’s investments and forays into autonomous vehicle development also contribute to its success. Like many other automakers, Toyota has revealed plans for the development of autonomous vehicles and to that end, announced the creation of another company, Toyota Research Institute – Advanced Development. In regard to autonomous vehicles, Toyota already has a foot in the door with the e-Pallete. This self-driving delivery vehicle was on display at the Consumer Electronics Show in January to showcase its many features and uses. What’s more, Toyota will be partnering with Pizza Hut to manufacture the world’s first fully automated delivery vehicle, and together the two companies are aiming to have a working prototype on the streets by 2020. Toyota’s been pioneering in other areas of vehicle development as well, as evidenced by its New Global Architecture Platform (TNGA) concept. The TNGA platform fundamentally changes the way that Toyota manufactures cars, allowing for greater flexibility – an example of this being that instead of needing separate manufacturing lines for each variant, Toyota's various hybrid, four-, and six-cylinder engines can now all be created on the same line. This increases overall efficiency and also allows the company to save money (a twenty percent reduction in productions costs for Toyota, in fact) and help lower the cost of new vehicles for our friends here in Westbury. The moral of the story here? Innovation and passing on quality and savings to you, the customer, is fast becoming the name of the game in the automotive industry, and Toyota’s shown time and again that it’s more than capable of leading the charge on this front. As Toyota has proven, being the world’s most valuable car brand isn’t just about selling cars. It’s about creating vehicles that people can wholly rely on and vehicles that offer enough utility and affordability to meet (and exceed) consumer needs. It’s also about keeping on top of production trends while staying ahead of the curve in regard to automotive invention and conception. Six years running as the most valuable car brand in the world is a considerable notch in Toyota’s belt, but the automaker isn’t done just yet!